AudioRide: A Riding Instructor In Your Pocket! 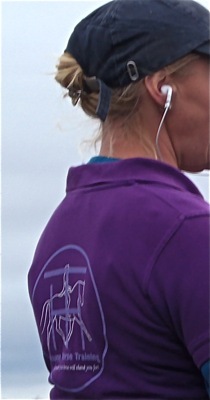 AudioRide is a series of exercises designed to listen to while you ride. Audio descriptions guide you through each step of developing a balanced, dynamic connection with the horse through your position. 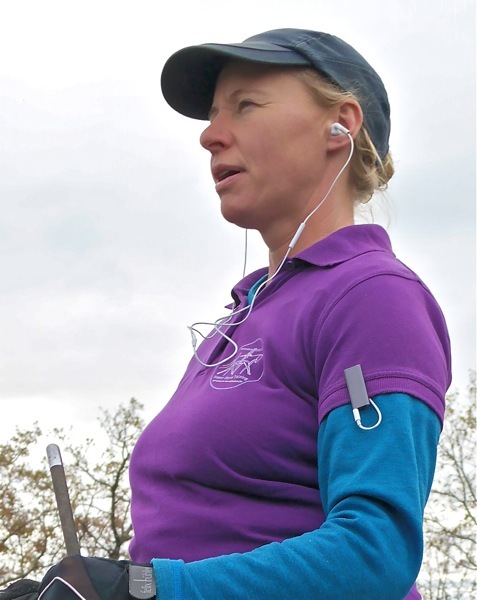 All you need is an mp3 player and a pair of earphones, and you have a riding instructor at the push of a button - and not just any instructor! You can now receive HHT's unique understanding of rider biomechanics, based on years of study of gymnastic riding, directly as you ride - the next best thing to having us teach you in person! What Makes the HHT Approach Different? Our passion is understanding the rider's postural influence on the horse, and how it can bring about the magical state of engagement. Our focus on this has revealed to us the exact process a rider needs to go through with their body in order to form the tools that transform the horse. The ability to be balanced on a horse, and to bring the horse into balance is accessible to any rider, but only with the right guidance. Many of the changes you have to make in your interaction with the horse are counter-intuitive, and are very different to conventional riding instruction. For this reason, it's unlikely you will find the same approach to teaching elsewhere. Riders who have been able to visit us for direct teaching confirm this regularly, but now you can take advantage of our knowledge directly as you ride, wherever you are in the world. With HHT AudioRide, you can feel safe in the knowledge that the directions you are receiving from the riding instructor in your pocket are those which will help you to become a genuinely good rider - to find a deeper connection with your horse in balance and harmony. In the development of our riding technique, we have never gone after the surface appearances that are so common in dressage, but instead we have sought the unmistakable feeling of balanced movement and channeled power. Visual appearances can tell many lies, but the actual feeling of your horse moving underneath you can never be mistaken. It took us many years to learn the right postural connection with the horse to achieve consistently the feeling of balanced movement through postural engagement. Now we offer you the 'short-cut' to discovering this amazing realm of gymnastic interaction with the horse, in as direct a way as possible - by listening to and applying our techniques directly in the saddle. Learning with AudioRide does not have the personal nature or learning with a riding instructor, but the advantage is that there is not the focus on faults that can lead to a negative influence. Any level of tension or frustration when riding can interrupt our connection with the horse, because it takes us out of the 'now'. With AudioRide there is only positive affirmation, allowing both the conscious and subconscious mind to align with the desired outcome. Listening to the recordings eliminated the 'brain fog' that often happens when we lose concentration and direction in our riding. AudioRide will focus your awareness in such a direct way that you'll find yourself carrying out the instructions without even thinking about it. In a way, this learning experience is more personal than being taught by someone else, because only you yourself can monitor and assess your reactions and progress. The responsibility for your riding is your own, and taking this responsibility is an essential skill for all riders to develop. Many riders feel lost once their riding instructor is not there to guide them - AudioRide bridges this gap, helping you to develop your own feel, awareness and self-discipline. AudioRide is designed an accompaniment to The Gymnastic Rider eBook, providing a way of putting the ideas and techniques in the book directly into practice with your horse. No need to try to recall techniques and exercises when you ride - just relax and let yourself be guided. The three albums of audio exercises takes you through the same process of gymnastic development described in the three chapters of The Gymnastic Rider, with the same exercises adapted into clear instructions that you can follow as you ride. Can I Use AudioRide On It's Own? 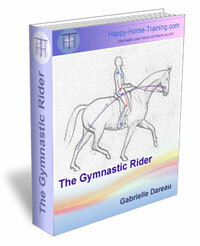 The Gymnastic Rider eBook gives the full, in-depth explanation for the three courses of exercises given in the three AudioRide albums, but you can still use AudioRide independently of the eBook if you want to. Although theoretical understanding always helps complete the picture, the real confirmation of this way of riding is in the feeling of the connection with your horse that it gives you. When you put enough parts of the position together, your horse's response, and the good feeling it gives you, will tell you that you are on the right track. The AudioRide course is made up of three albums of exercises which you can buy separately. They are called The Seat, The Leg and The Contact. The course takes you through the different parts of the gymnastic rider's position, so that you can develop them in the right order. For this reason, we highly recommend that you follow the albums in order to get the most out of them. 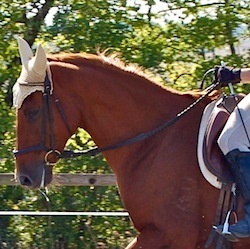 The seat is the central 'lynchpin' of the rider's connection with the horse. It might not seem obvious, but there are several very different ways that we can sit on a horse and connect with the movement. 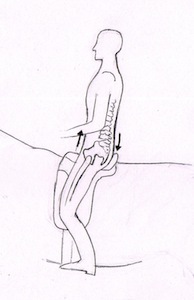 The way of sitting described in this album is different to the seat that is taught by most riding instructors (the reasons for this are explained in The Gymnastic Rider eBook), but this is the only way of sitting that is capable of connecting to and channeling the flow of energy from the horse's haunches without blocking it. 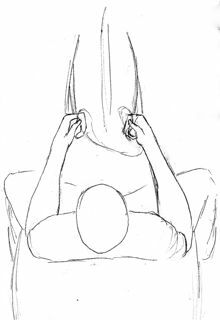 Once this connection is established, the seat's postural leverage is then used to re-balance the flow of movement, creating true collection. The series of exercises in this album take you through the interaction of your seat with the horse's movement in its two main dimensions: the longitudinal (back to front) and the lateral (side to side). In this way, all aspects of how the seat can connect to the movement in order to promote balance and transmission are addressed, from creating collection and extension, through determining and correcting your own and the horse's crookedness, to influencing the horse laterally with the seat. 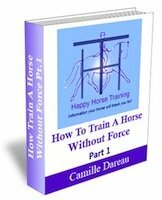 Through this program of exercises, you will understand the seat in a profound and unique way, and you will know how to go about developing this powerful tool in your riding. 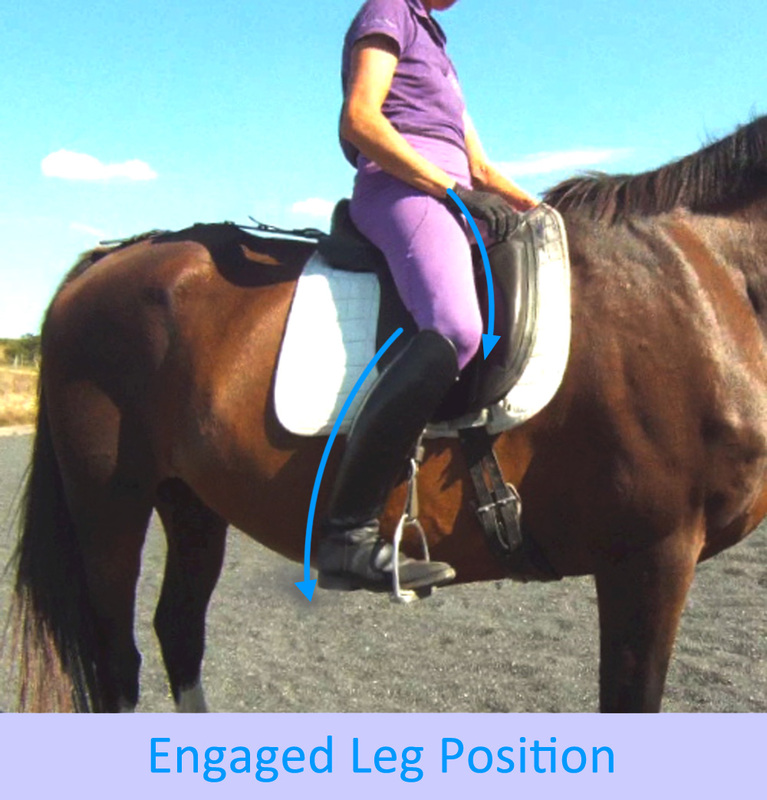 The second building block of the riding position is the leg position. One of the greatest challenges in developing a balanced riding posture is to achieve an effective leg position without sacrificing the seat. When we initially adopt the tucked seat described in the 1st AudioRide album, it is normal to find our leg position has come forward and seems to be ineffective. The solution is to reconstruct the leg position without losing the correct seat. If we do this systematically, the hip joints will begin to become more supple, allowing the whole leg position to come back underneath the seat, balancing the whole position. 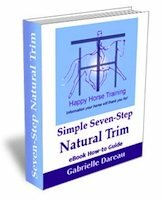 This album contains all the necessary exercises for developing a sculpted leg position - there are stretches on and off the horse, mental images to help get the right feeling and keep the legs in place, and to show how we can use sitting and rising (posting) trot to help. You will also be shown the way of aiding which not only has the right gymnastic influence on the horse, but also helps you to strengthen the leg position in a dynamic way. This kind of aiding is the very opposite of the way we use our leg naturally on a horse. With the basic principles of the leg established, the exercises move on to showing you how you can connect to the horse's body with the legs, and channel it into alignment using the principles of yielding and bending. We also describe our unique understanding of how the rider can interact with the horse's diaphragm with the leg in a way which is powerful on both a postural and an emotional level. Combining a tucked, adhesive seat with an effective, balanced leg position is something that is very rare, even amongst professional riders. 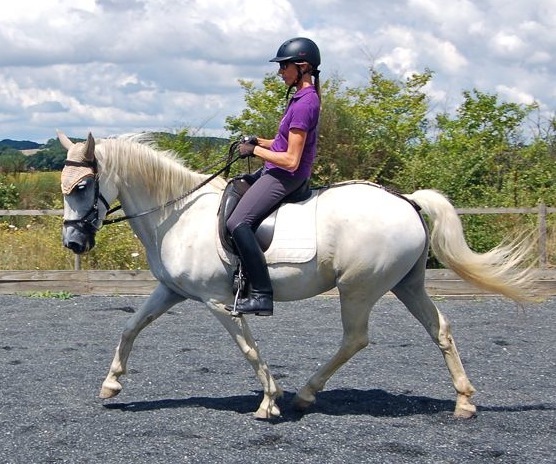 This is partly because it is unusual to find a riding instructor who knows how to teach this particular postural development, and partly because it is a challenging process that takes perseverance to accomplish. This series of exercises gives you the tools to acquire the essential combination of seat and leg - the foundations of the gymnastic riding position. In this approach to riding, achieving the correct rein contact is the culmination of the effects of the seat and leg, because the whole concept is about channeling the horse's energy from it source in the haunches - the 'engine' of the movement, towards the front end. Although it is the horse who creates the rein contact by stretching and softening into it, the rider needs to know how to receive the contact in the right way, and most importantly how to avoid being drawn into supporting any resistance or crookedness in the contact. Whenever we have holding and dependance in the reins, we eliminate the space that the horse needs to transmit energy evenly from both hindlegs and to engage postural. The exercises in this AudioRide album show you how to preserve this space in different ways - through yielding the reins forwards, and through undoing the way we automatically want to compensate for the horse's crookedness with the reins. The exercises start with the basic principles of the arm, hand and upper body position, and move onto the contact's place in the whole picture of postural engagement, including the crucial role of the contact in bending. The album culminates with an overview of the contact's role in the training process. We do not believe that it is the rider's job to control the height of the horse's head-carriage with the contact, but that this development happens as a function of the horse's postural development. AudioRide exercises are designed to be used in a flexible way to adapt to your own learning style and progression. 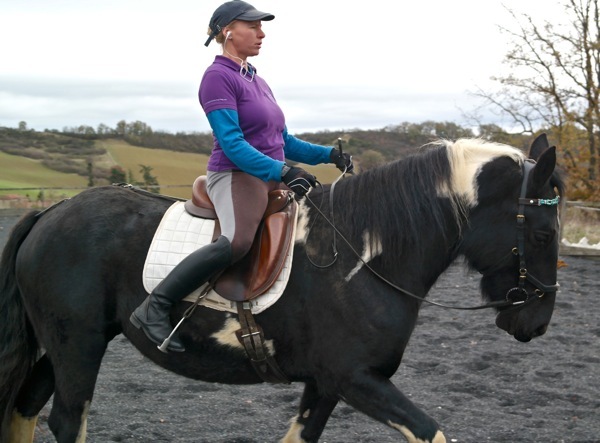 Each exercise is made up of a series of instructions to apply to your riding. Some describe a physical action, and others describe a feeling. You can pause the recording as often as you like so that you can take your time as you apply the instructions. 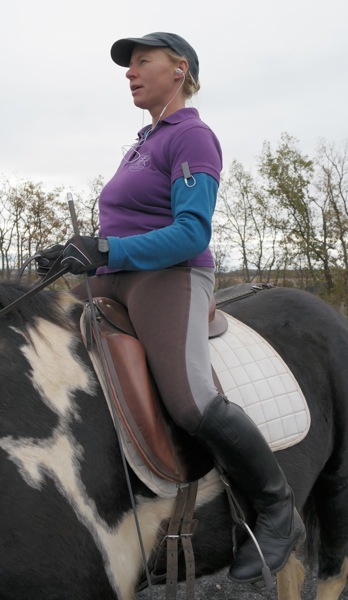 You may want to listen to only one or two exercises in a riding session, taking the time to repeat them or to focus on your own feeling in between listening. Alternatively, you can let one exercise flow after the other, and go back to them again as and when you feel necessary. The length of time a rider needs to spend working on each part of their position is totally individual, and the advantage of AudioRide is that you have all the freedom to progress at your own pace. Ideally, you should feel firmly established in your ability to carry out the exercises in each album in the series before you move on to the next album, because the different elements of the position need to be built one on top of the other, in the right order. There is no point, for example, in working on the leg position before your seat is well-established. For this reason, we strongly recommend that you follow the course of exercises in order. Start Your AudioRide Course Now! When you purchase AudioRide, you will receive an email with a link to download the mp3 files. Once you've done this, all you need to do is drag the files onto your mp3 player (e.g. ipod, smartphone etc.) and you're ready to plug in a pair of earphones and start listening as you ride. 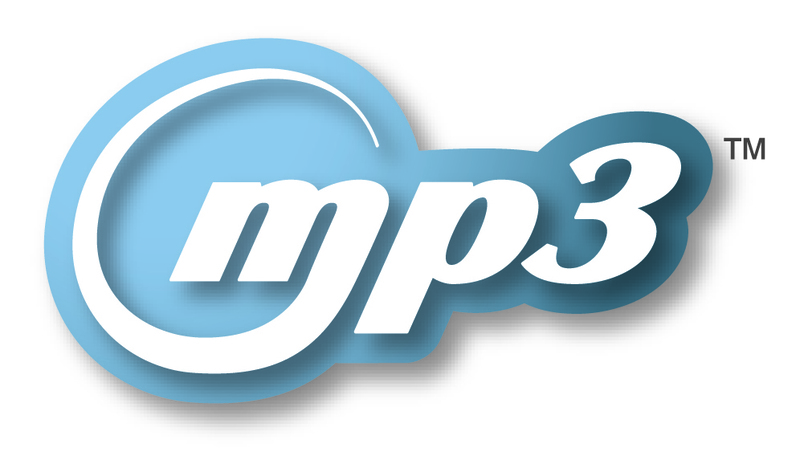 Mp3's are very straight-forward, but if you're not used to using them, this article gives simple instructions. We are passionate about sharing our methods as widely as possible, so we have chosen to make these recordings available at a very reasonable price, considering the work that has gone into them, and the unique tool that they offer. Each album is available for only €12, and if you buy all three albums together, we offer a reduced price of €30. Payment is via a secure PayPal checkout - no need for a PayPal account. Try The Introductory Exercise For Free! We are offering a free download of the Introductory exercise to the AudioRide course - Riding In The Now. Just click on the link below to download the mp3 file, and then move it onto any mp3 player to listen. Like the free introduction to The Gymnastic Rider eBook (available here), this exercise focuses on creating the right state of mind at the beginning of your session, so that you can create a feel-based connection with your horse. It helps you to channel your focus inwards, and let go of any pressures and external distractions that stop you being in the 'now' as you ride. This link will open a new page that plays the audio recording. Right-click on the audio bar, and select the option to save the file to your computer. Then you can transfer the mp3 file to an mp3 device. You will also receive this exercise when you order any of the albums or the complete course.